The Control Series features a layer of uni-carbon strips which give them a much more dynamic response. 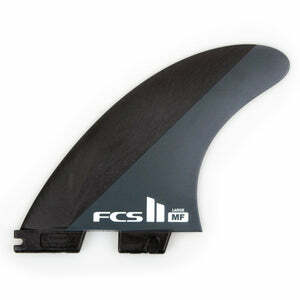 The uni-carbon gives these fins a thinner profile translating to lighter weight and decreased drag with out sacrificing durability or control you would expect from a fiberglass fin. Thinner Profile equals reduced weight and drag. Uni-Carbon layer added for strength and resiliency. 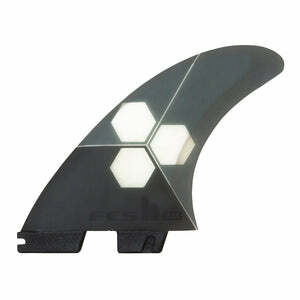 Indestructible fiberglass fins designed to take a beating. Sand away any dings, scratches, or imperfections and they're good as new. Built for Power and ideal for powerful conditions. Designed for late takeoffs, stalling, and controlling speed. 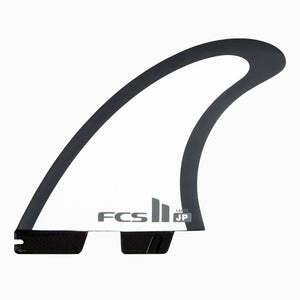 Fin Dimensions: Height: 4.57" - Base: 4.40"- Area: 15.16"
Glass/Carbon: fiberglass is stiff and tough for heavy conditions or surfers that appreciate very stiff fins.